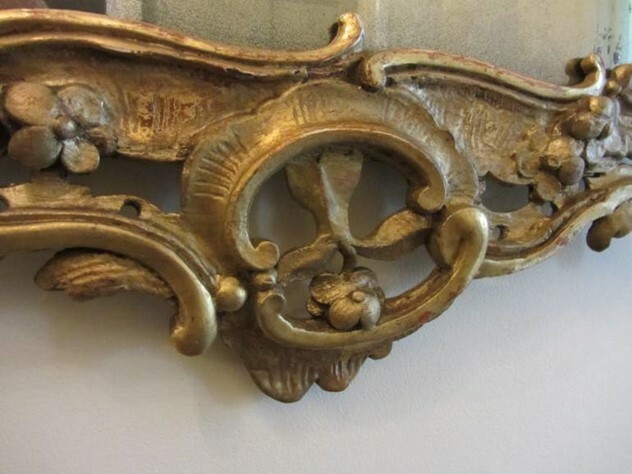 A 19th Century Carved Giltwood & Gesso Wall Mirror in Rococo Style, with original gilding and very nicely aged original glass. The red-ochre pigment is showing through the gilding in places and there is an old inventory stamp to the reverse. Condition: Good, the gilding has been touched up in places and there is an old repair across the bottom of the carving.